It's Star Trek month over at Planet Pulp and I finally get to illustrate a Trek poster! There is a tip of the hat here to Bob Peak's amazing poster illustration for ST:TMP and it felt right to do that to me...also managed to incorporate Nero's drill in there too. 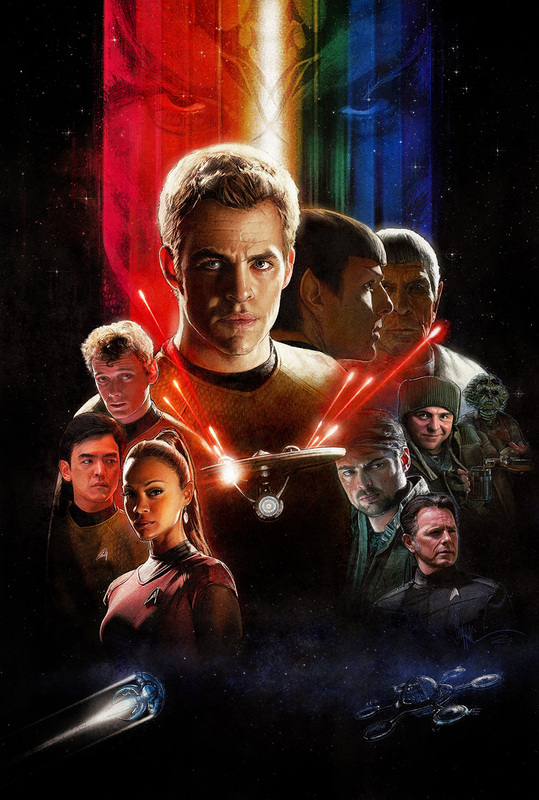 JJ Abrams really did a great thing with making this movie, I was kind of into Trek growing up, mainly because it was Sci-Fi (Star Wars was top dog at the time) but JJ Abrams definitely sealed the deal for me when he made this!